Features include higher bandwidth, storage savings and reduced time required to maintain large deployments. MILWAUKEE – (October 8, 2018) – Johnson Controls is announcing the latest version of the victor and VideoEdge flagship video management solution (VMS). This release features an array of tools to improve analytic reporting, and streamline device and user management across multi-location installations. required to maintain large deployments. 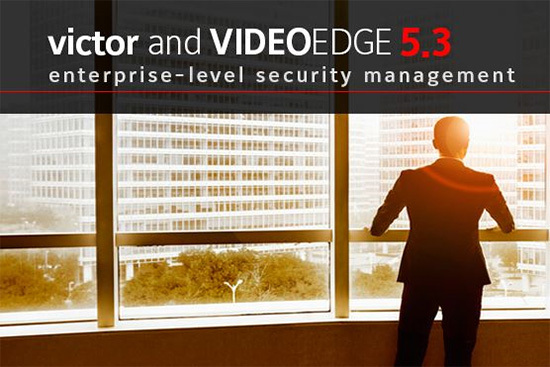 This latest release presents firmware and software management with enterprise bulk configuration that reduces the time and complexity associated with managing updates across enterprise deployments of Illustra cameras and VideoEdge recorders. Also included is the ability to efficiently manage camera and NVR passwords to adhere to cyber security policies, enriched by the new enhanced security mode which removes default accounts and requires the creation of new accounts and roles. Analytic functionality has been optimized with a new dashboard that displays important operational business intelligence from search results and visuals for average occupancy, conversion rates, engagement rates and more. Analytic overlay and live people counter allow built-in tools for video analytics metadata visualization by creating people counting areas and tallying entry and exit to those areas. VideoEdge NVRs now support H.265 streaming for efficient encoding in constrained environments, saving network bandwidth and storage costs. Further, NVR camera access permissions simplify the user interface by restricting camera access, effectively hiding cameras from operators who don’t need to see them. victor and VideoEdge offer powerful command and control to seamlessly synchronize video surveillance with access control, fire, intrusion and other systems into one powerful, intuitive interface and recording platform, allowing customers to manage their business more safely and intelligently.